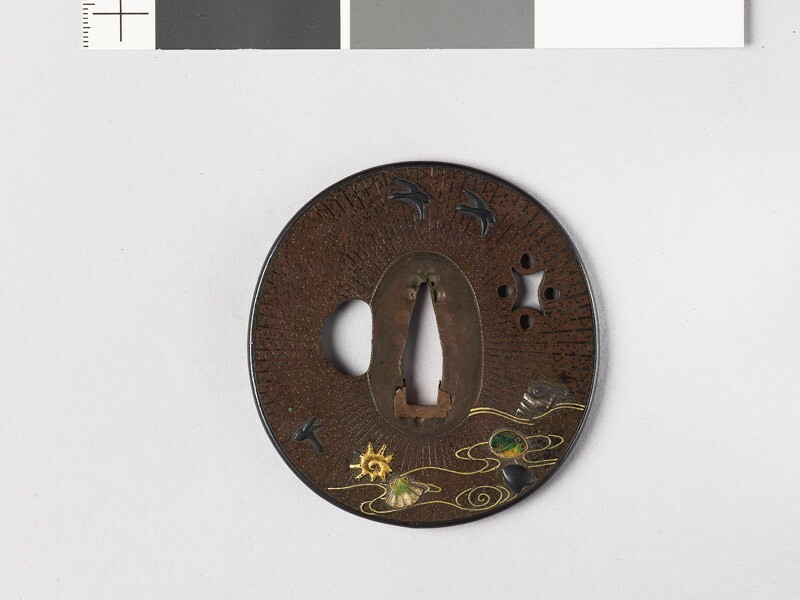 The art of shippō-yaki or enamelling, i.e. 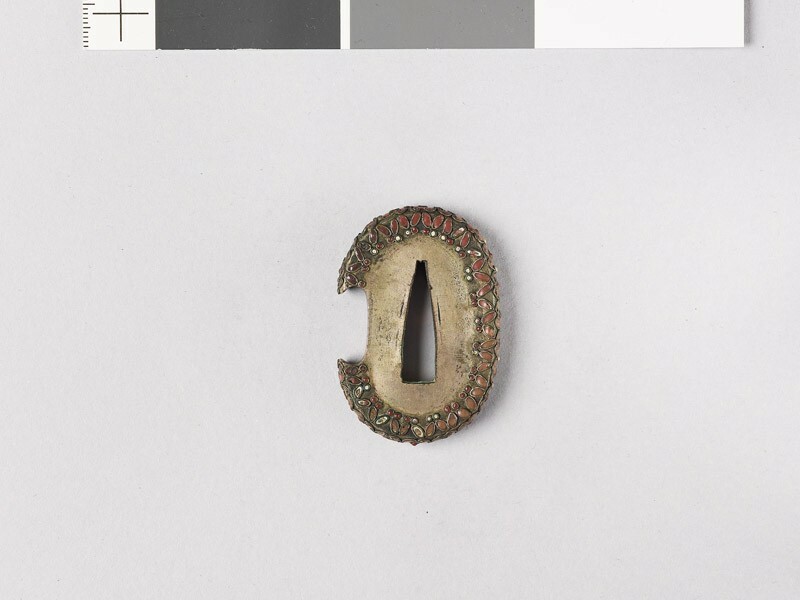 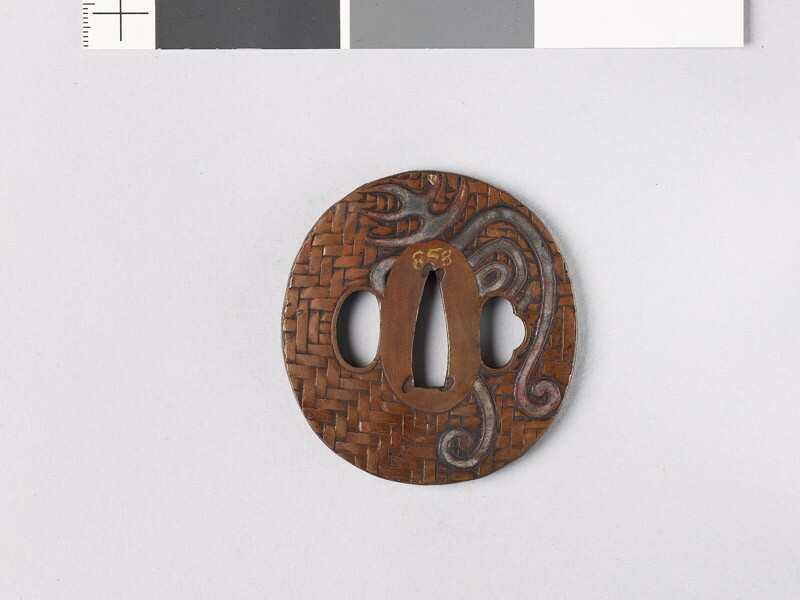 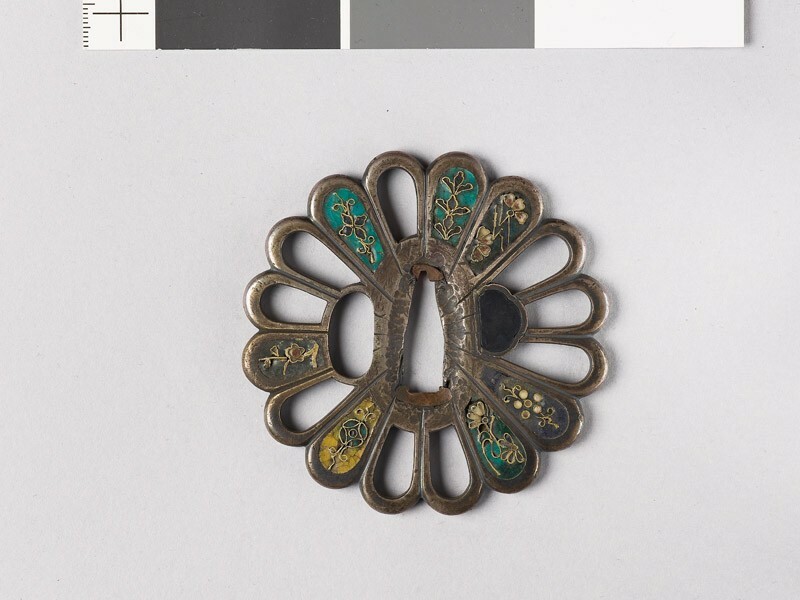 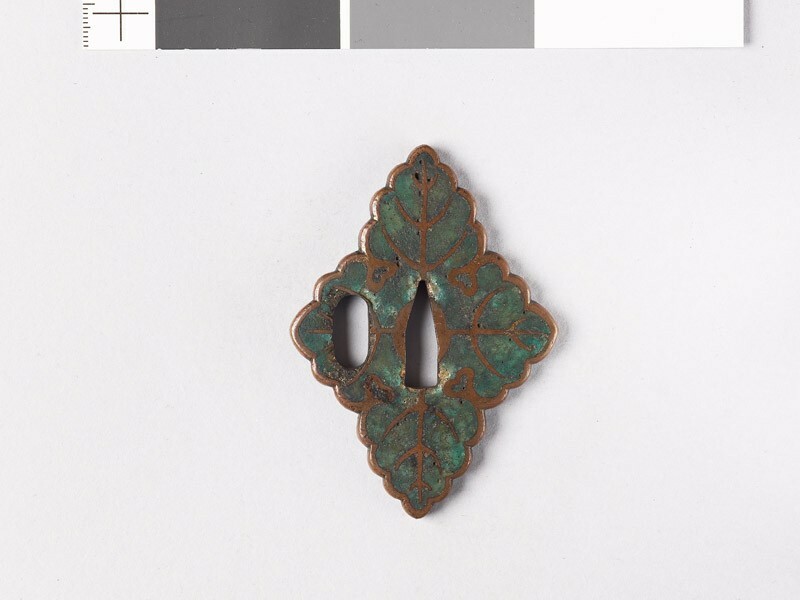 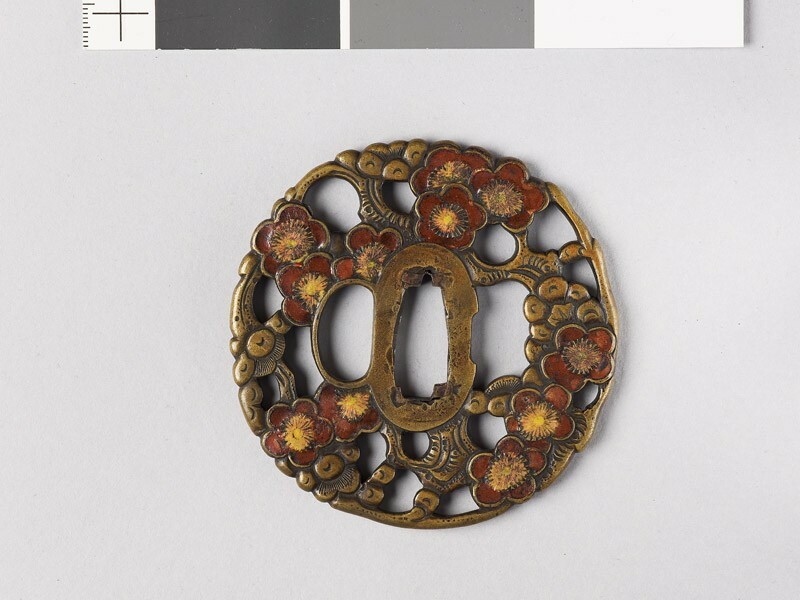 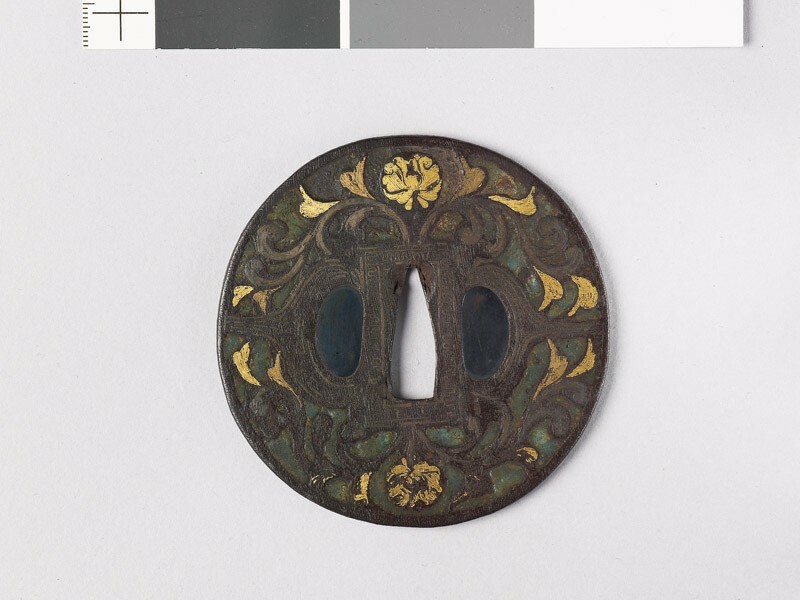 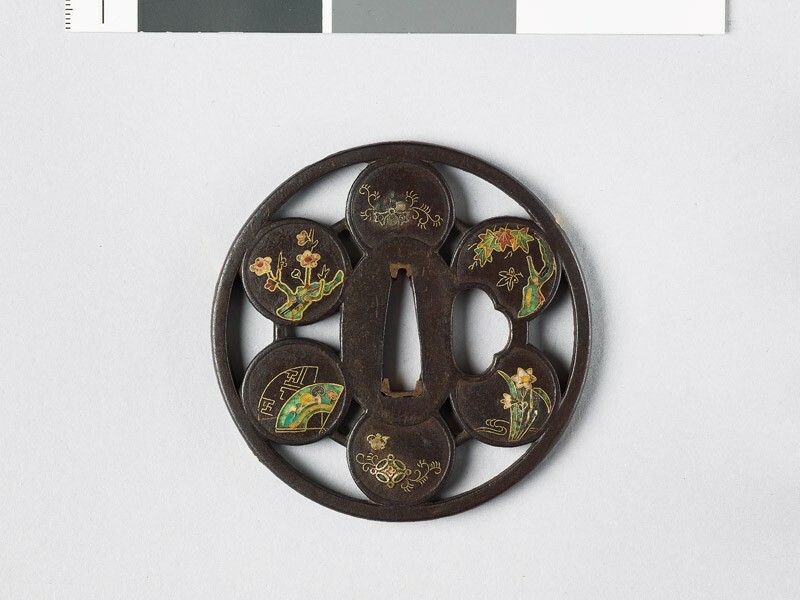 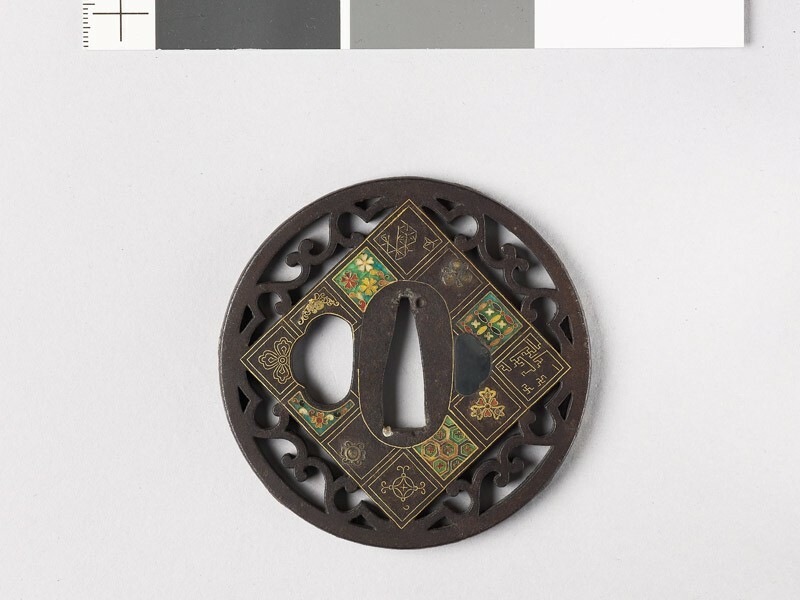 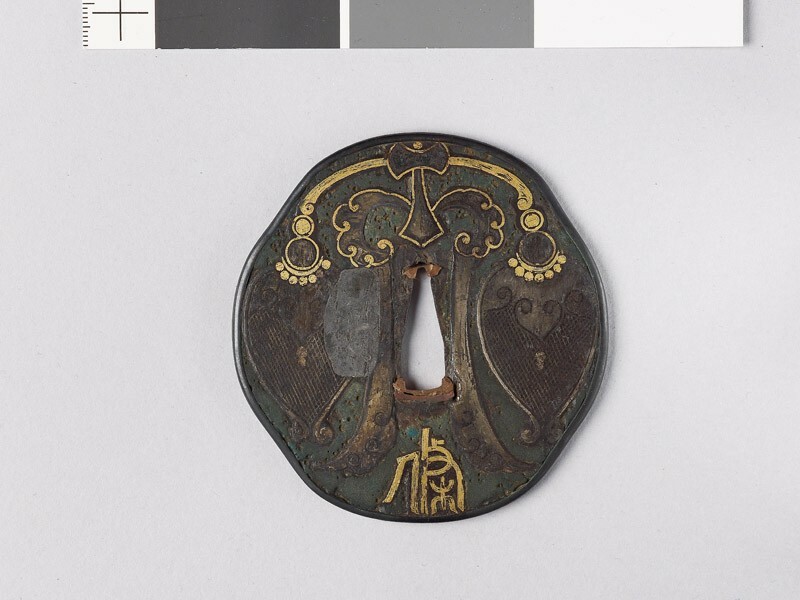 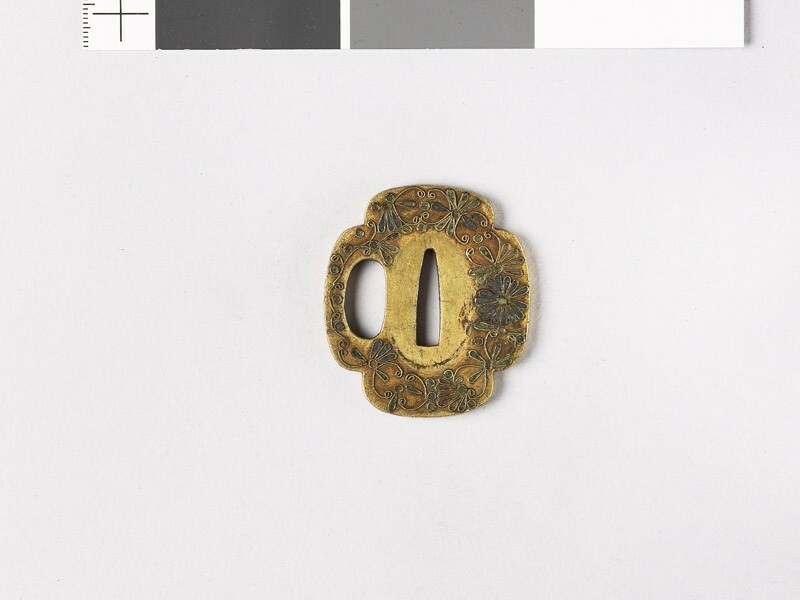 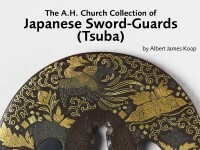 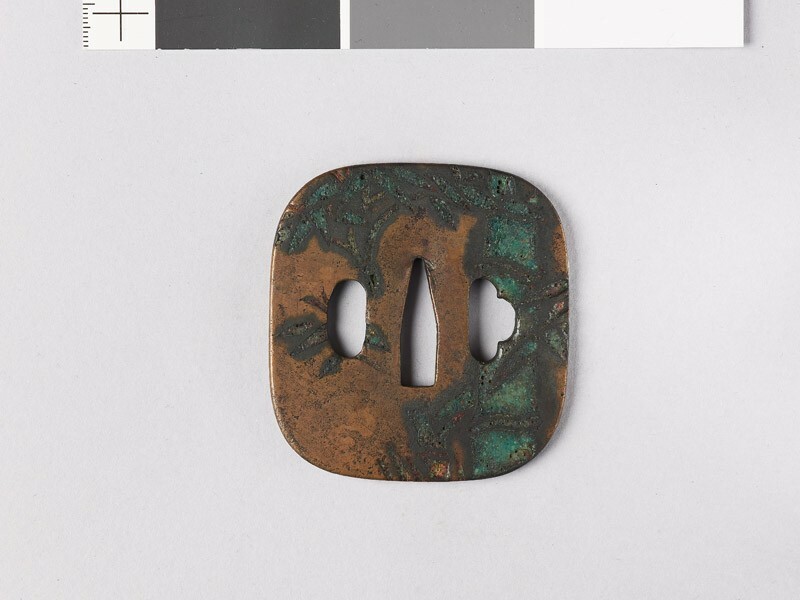 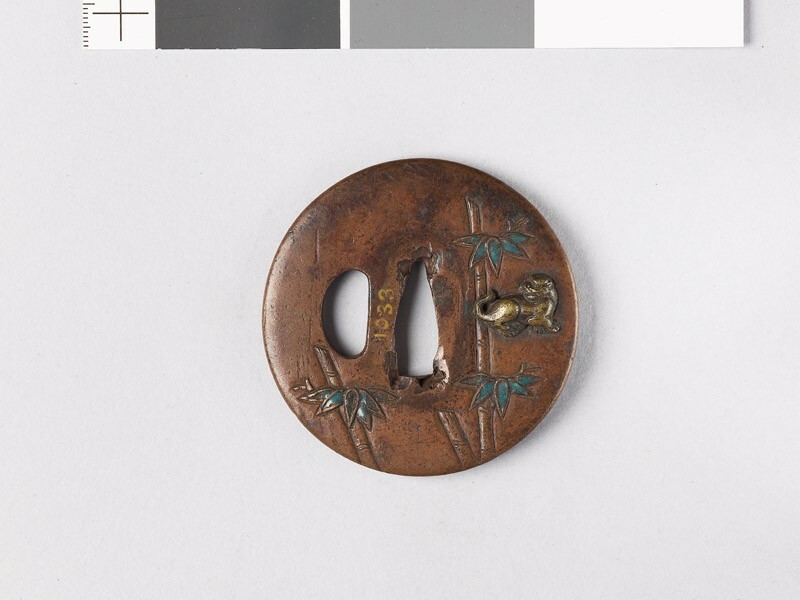 the fusing of coloured vitreous pastes on a metal base, was known to the Japanese at a very early period, but was subsequently lost until towards 1600, when the trade with China led to its revival. 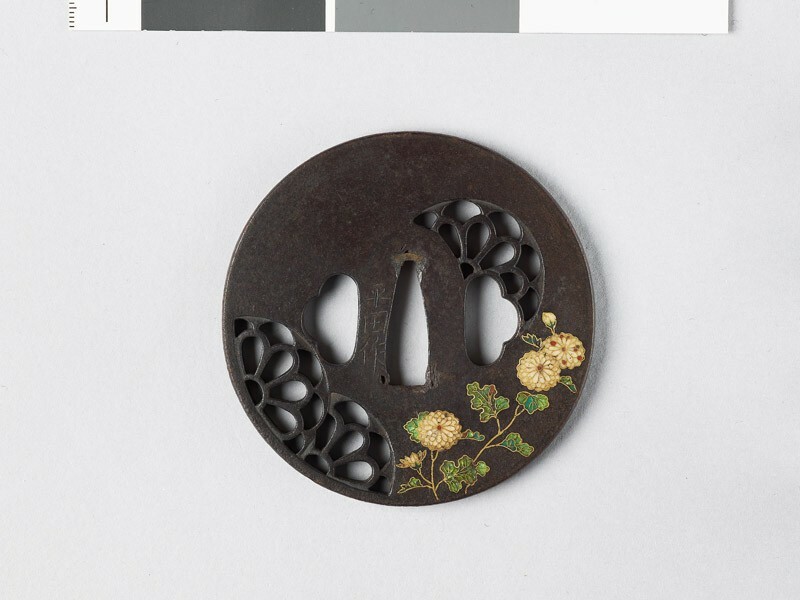 At this latter date it was much used for various small objects, but not for vases, bowls, dishes and the like, this class of work not appearing in Japan before the middle of the 19th century. The use of fine cloisonné work on sword-furniture begins with Hirata [Japanese text] Dōnin (d. 1646), who was sole court enameller to the Tokugawa Shōgun and was succeeded in that post by ten of his descendants in turn. 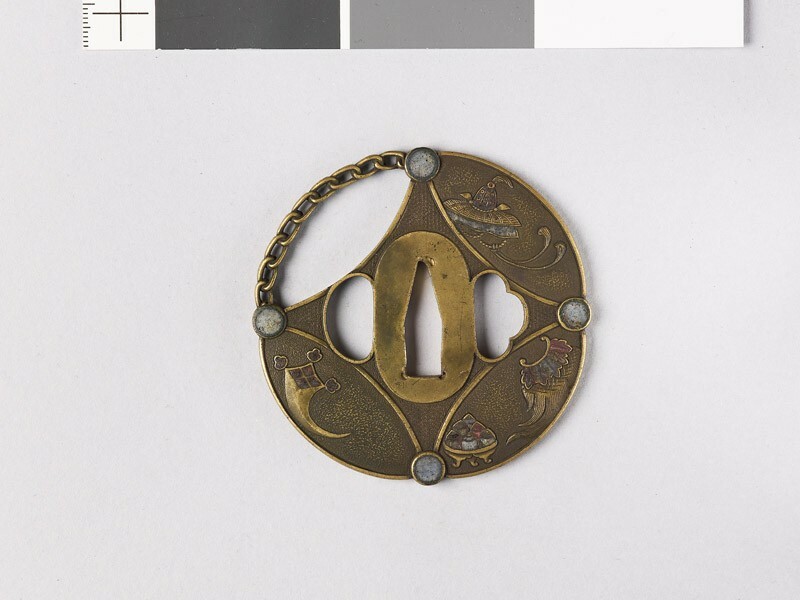 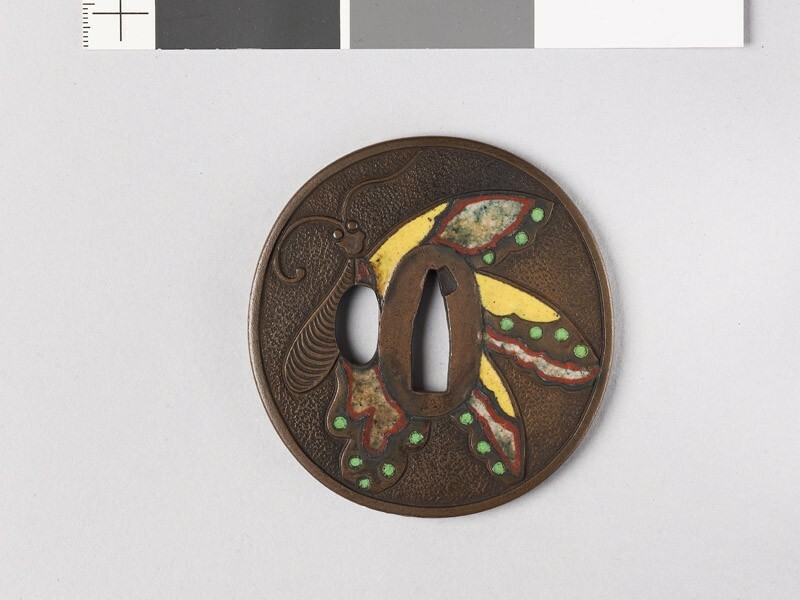 Their enamels are for the most part in gold cloisons and are inlaid in iron, shakudō or other metal grounds. A peculiar feature is the addition of tiny spirals and scrolls (“Hirata curls”) in inlay of gold wire. 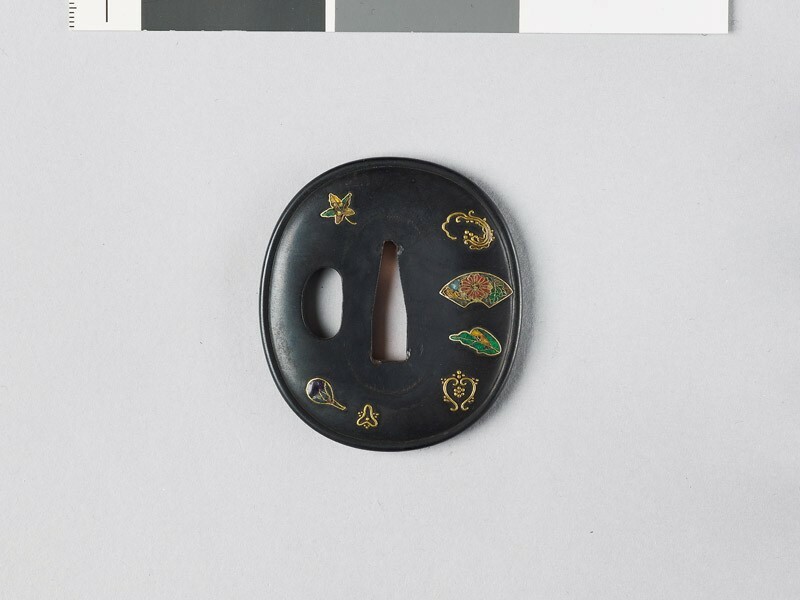 Translucent enamel appears first about 1770, in the time of the 7th Master, Narisuke (d. 1816); but during the 19th century many older pieces were re-decorated with cloisonné enamels of this nature. 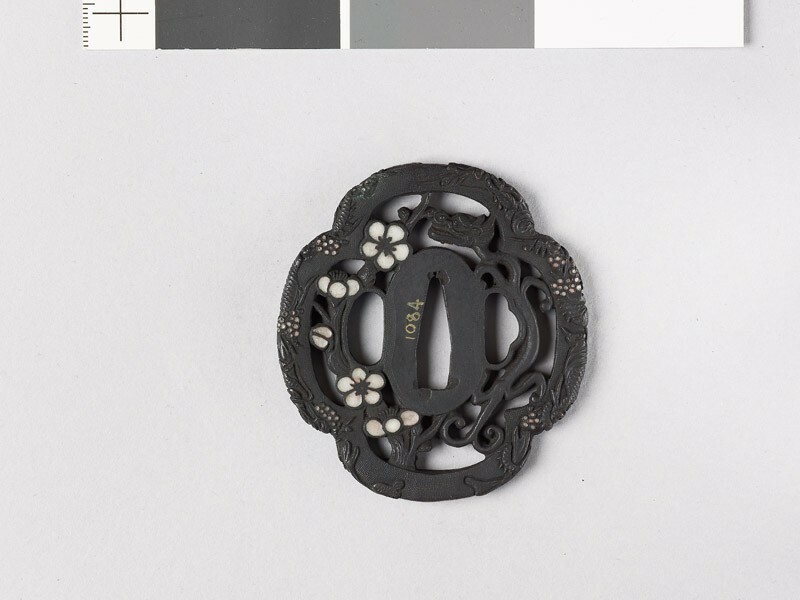 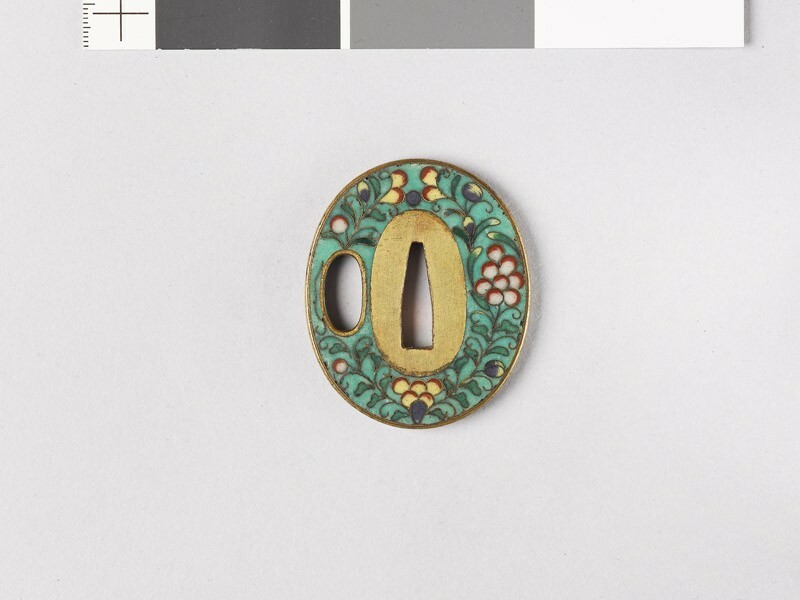 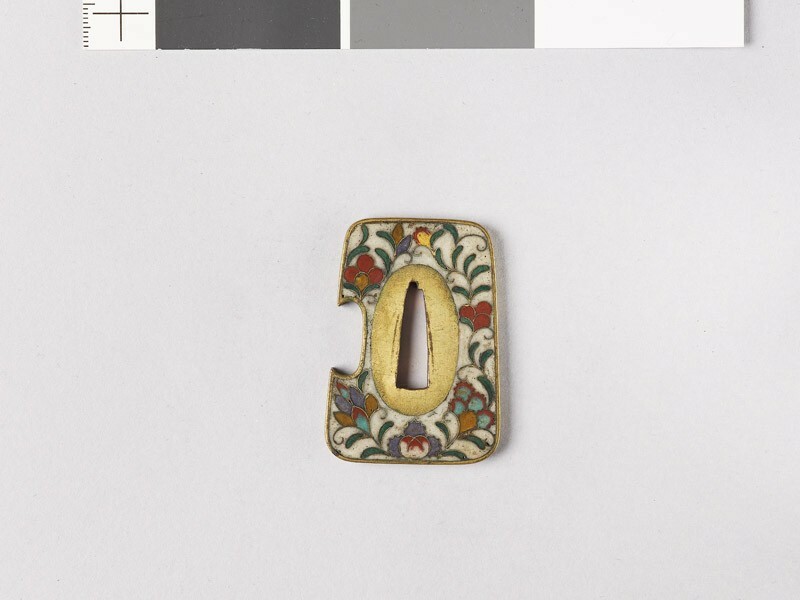 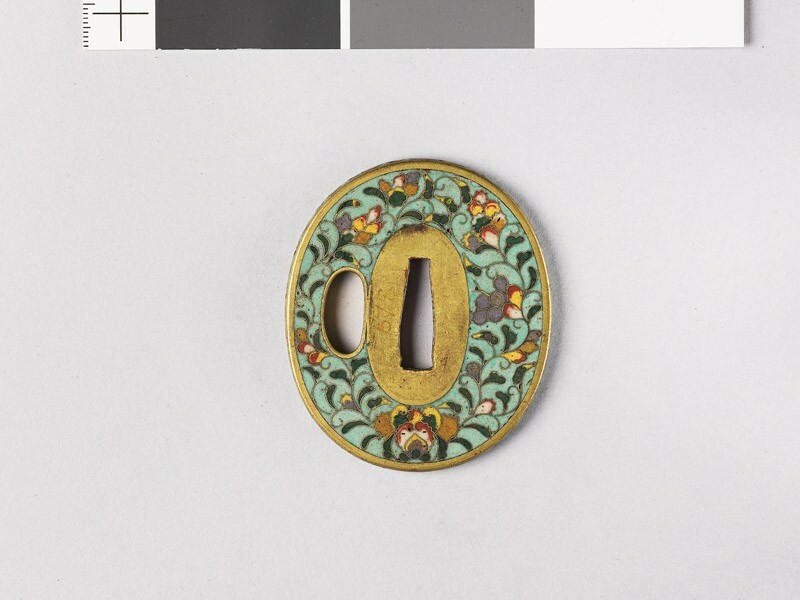 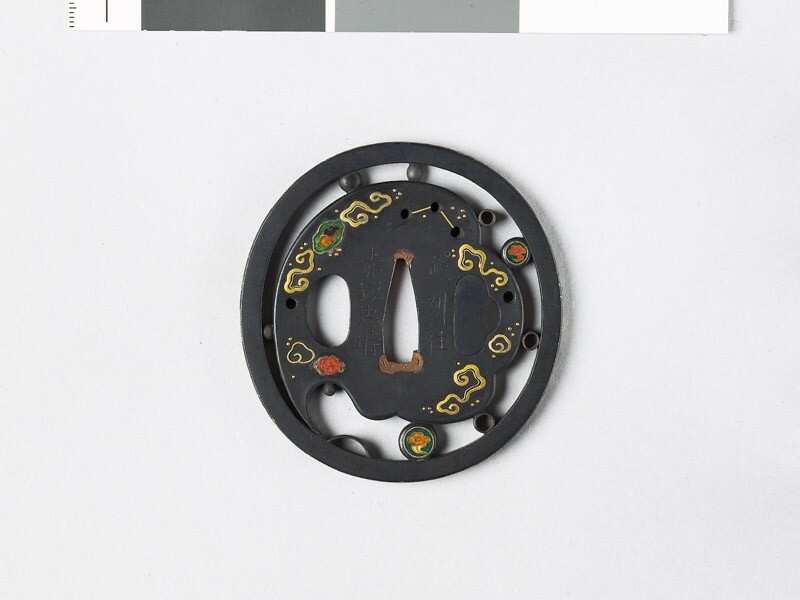 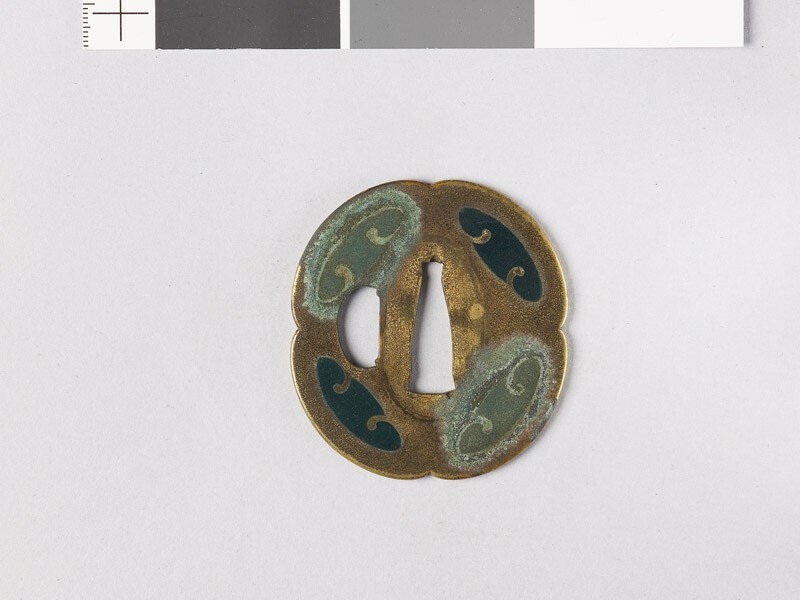 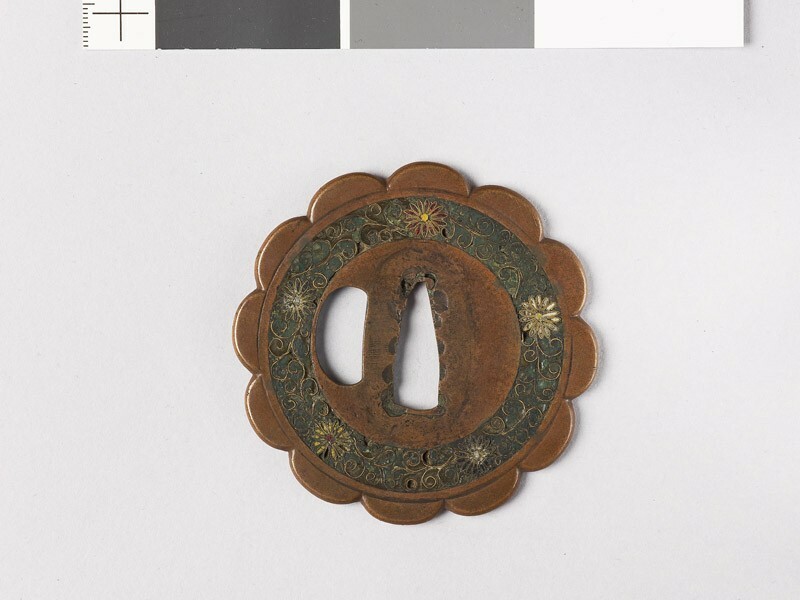 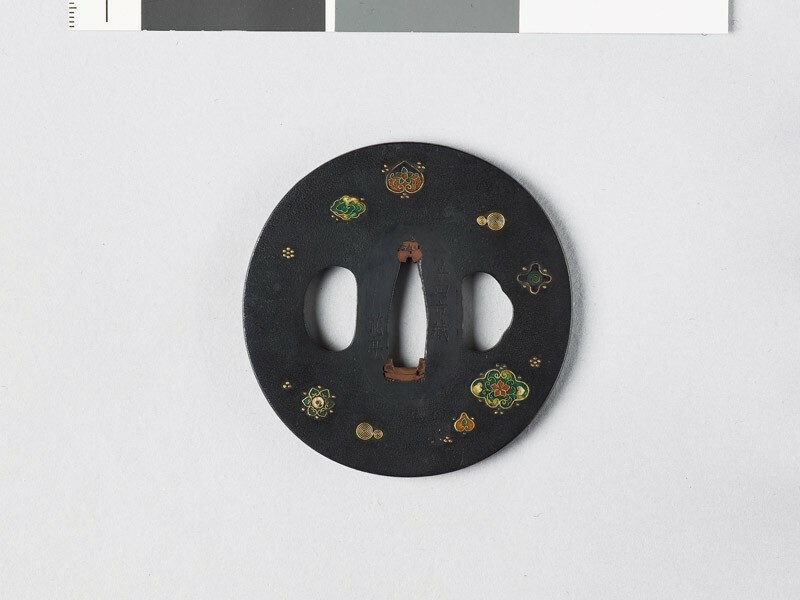 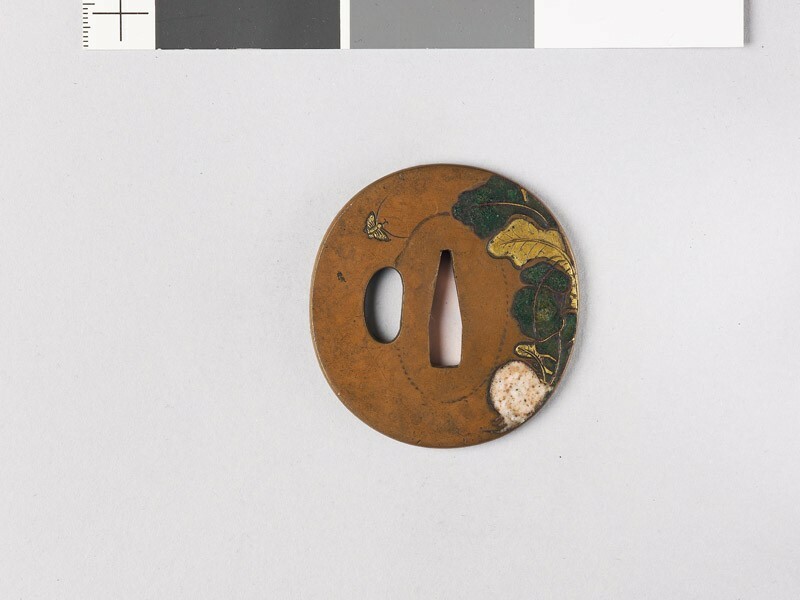 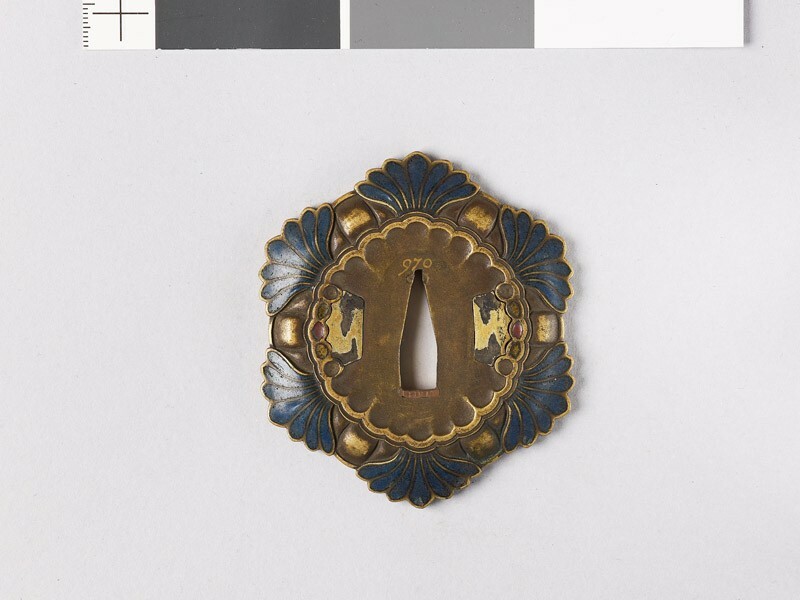 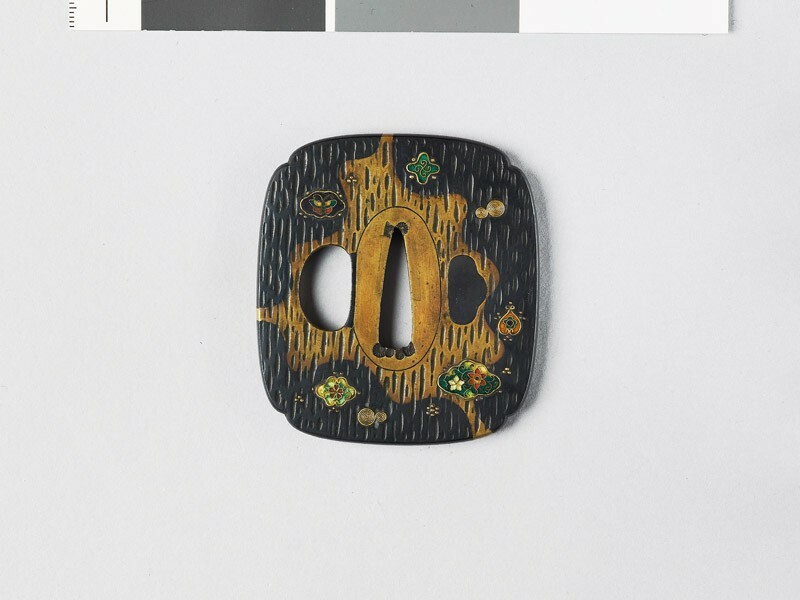 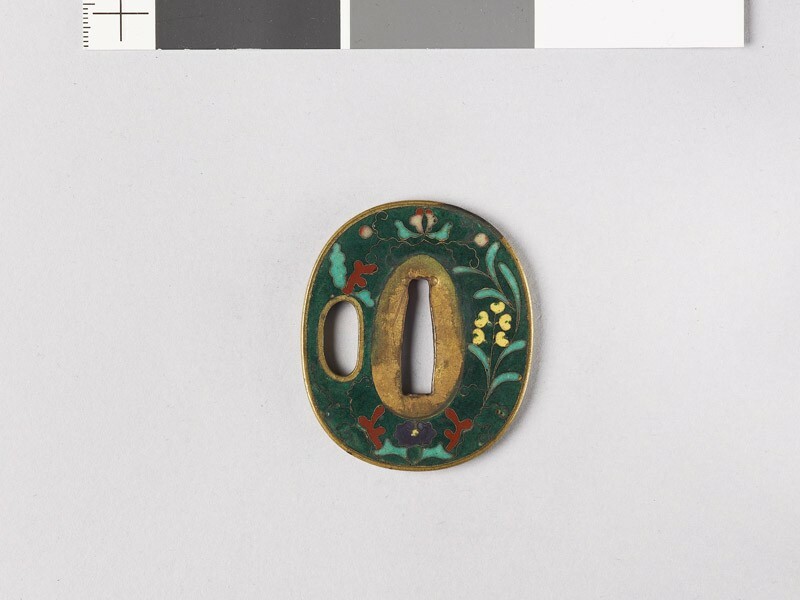 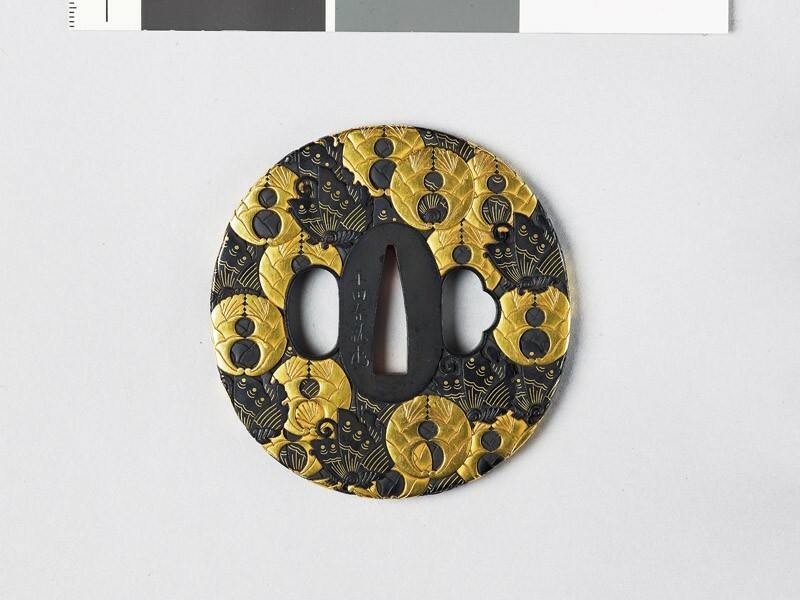 The coarse enamelling done on Hirado and Nagasaki work is illustrated in [another chapter] and at the beginning of the present group respectively.